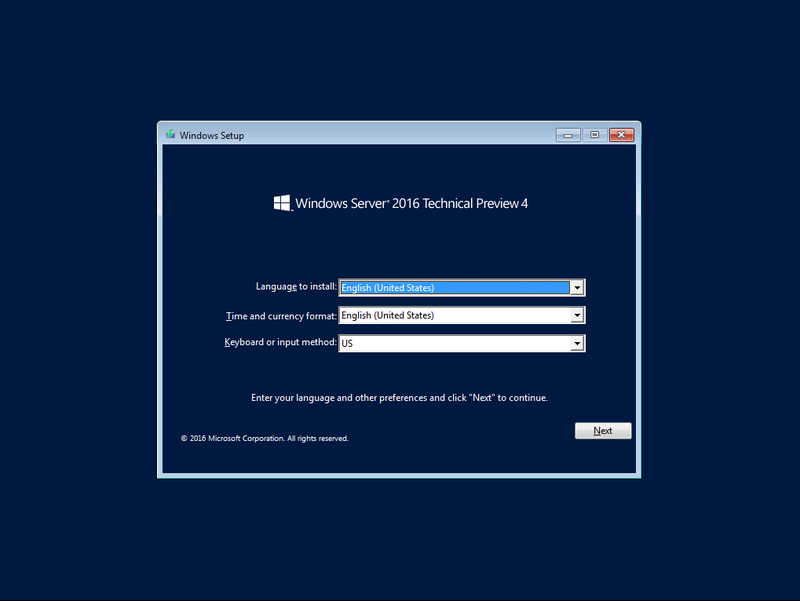 In this tutorial I will go through the installation of Windows server 2016 using a VM in Hyper-v installed on my Windows 10 laptop. 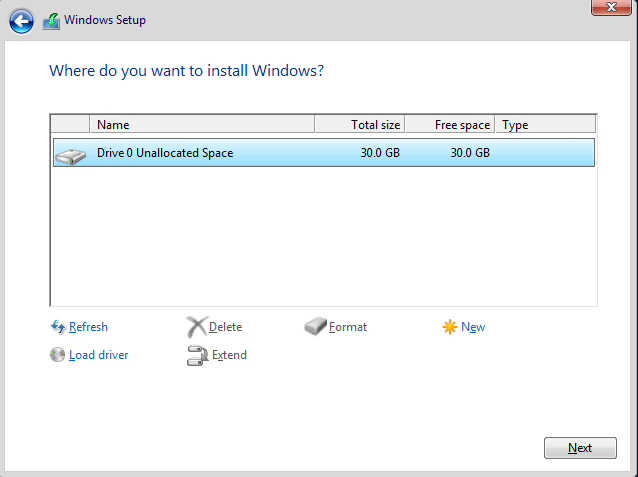 if you like to setup the same environment as me, please look at this post I wrote a few days ago https://ittutorials.net/install-hyper-v-hypervisor-in-windows-10 you can also burn the Windows Server 2016 ISO image to a DVD or flash drive, and boot your physical server or computer from it. Just click Next and then click on Install in the following screen. 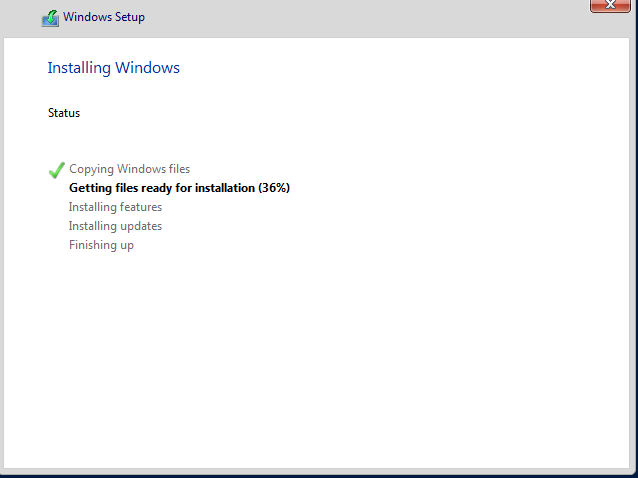 The installation will begin. 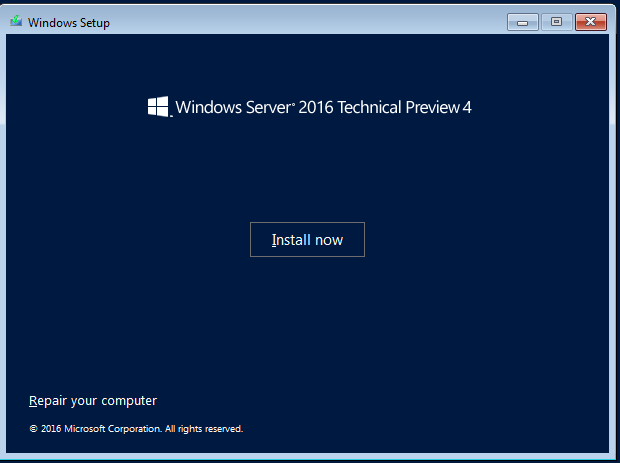 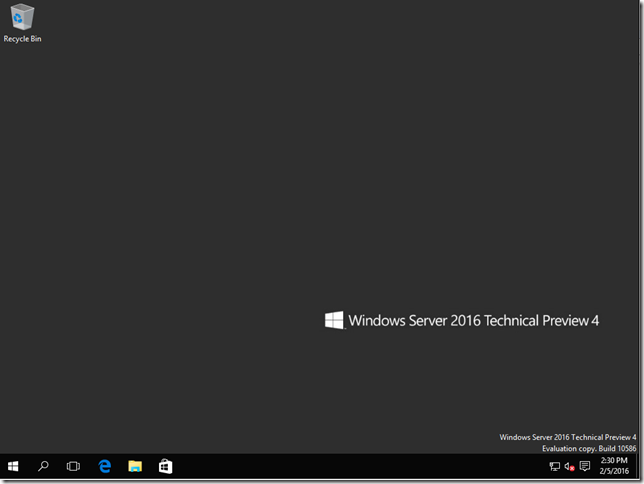 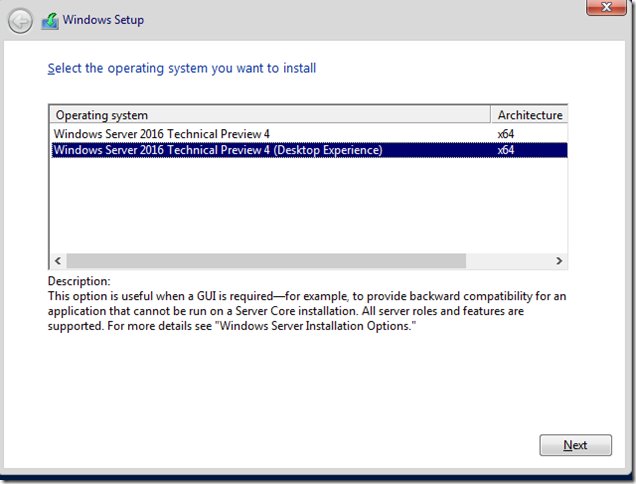 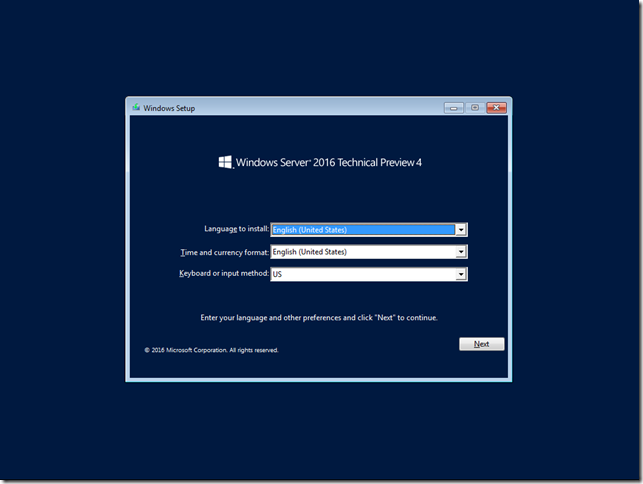 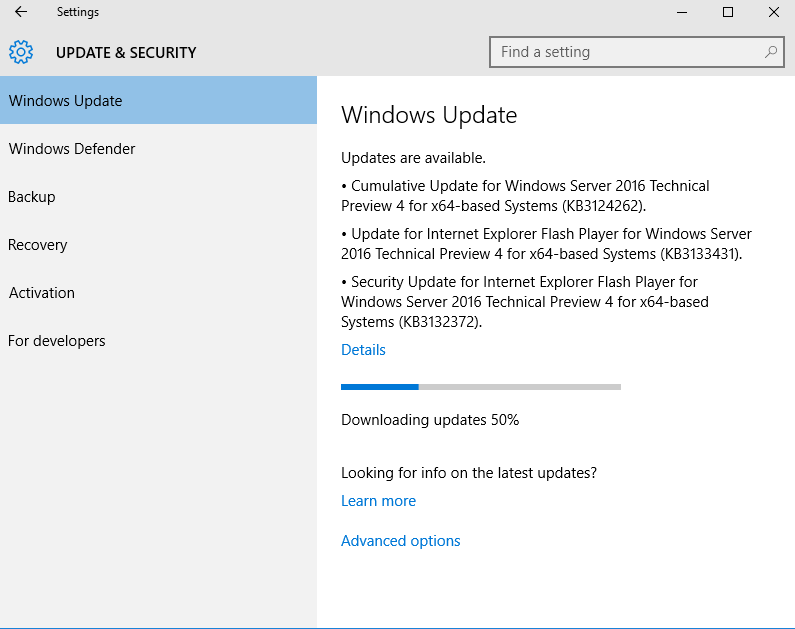 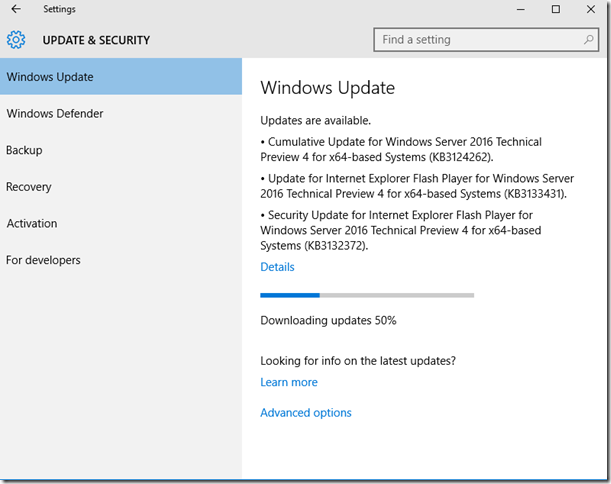 so far the Windows Server 2016 installation is not much different than Windows server 2012. 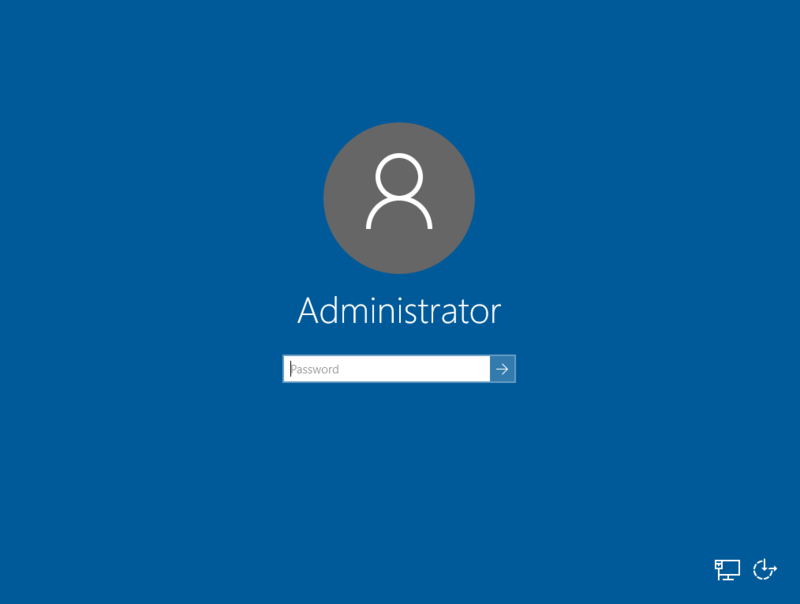 Enter a password for the administrator account, and click on Finish, and boom, you get the logon screen. 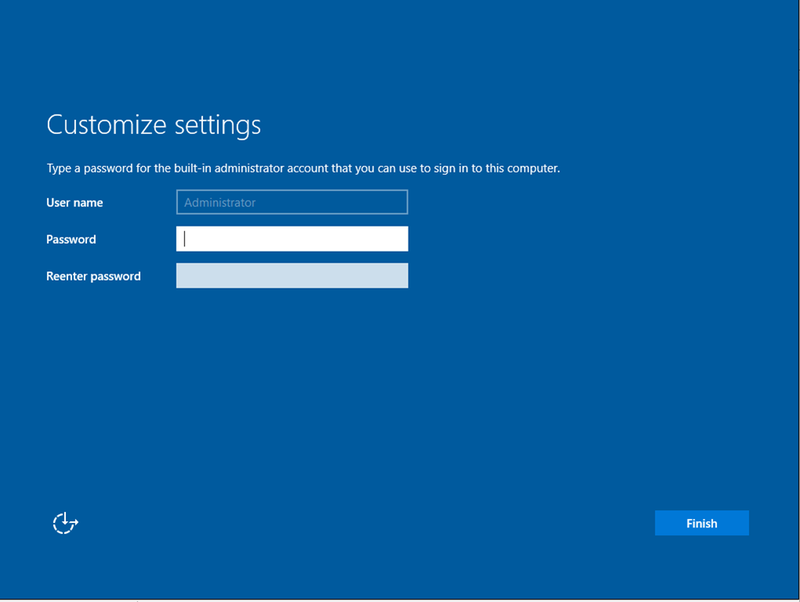 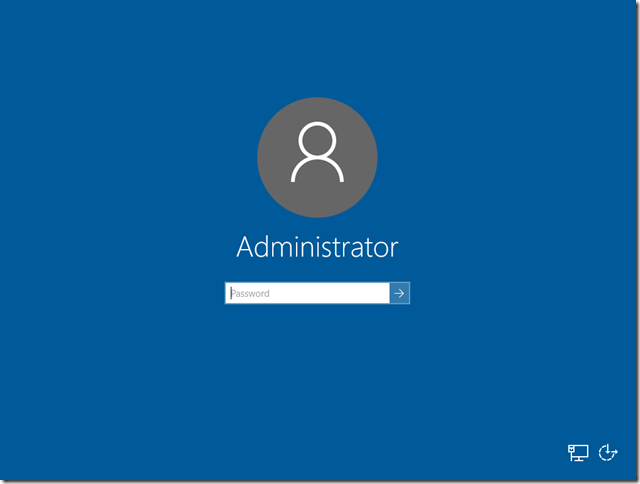 Enter your administrator password to login. I must say that I am very impressed on how smooth and simple this installation was. 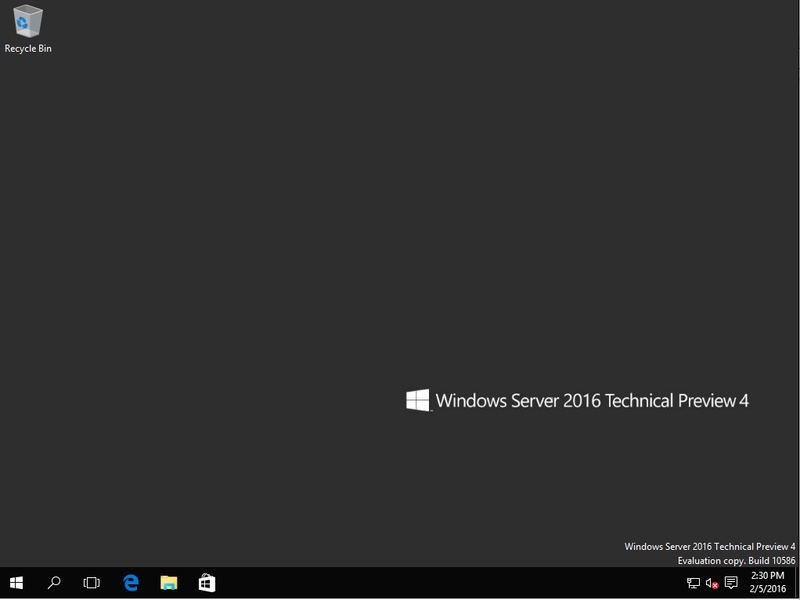 It seems like Windows Server 2016 does not use much resources and is very fast. 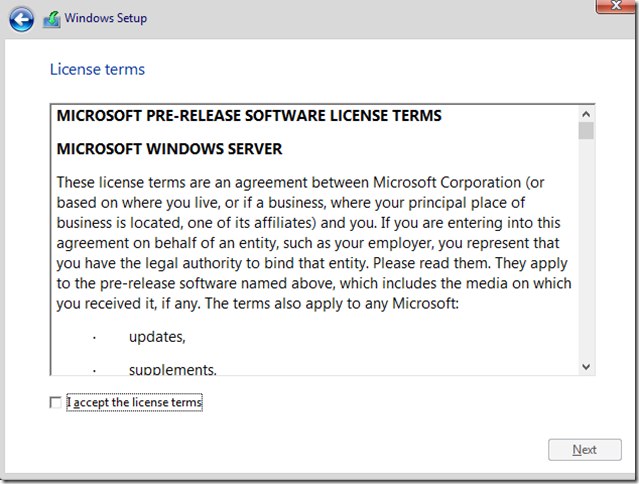 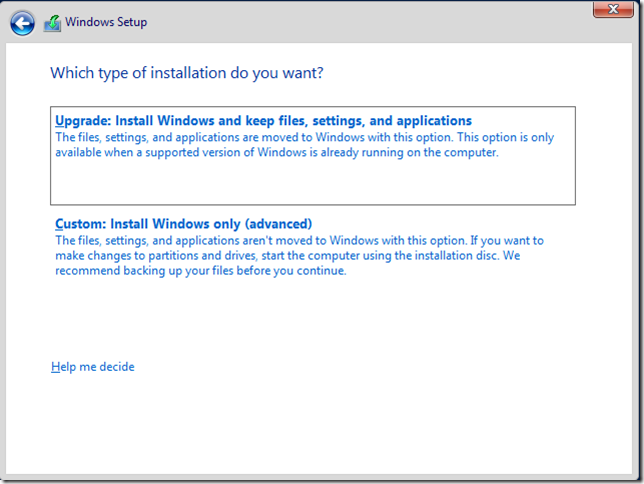 The initial installation is very similar to Windows server 2012, but the desktop interface once the installation is completed is based on Windows 10.